Waking up at then crack of dawn to catch a flight is no easy feat but we wanted to make the most of our three days in the Western Cape. 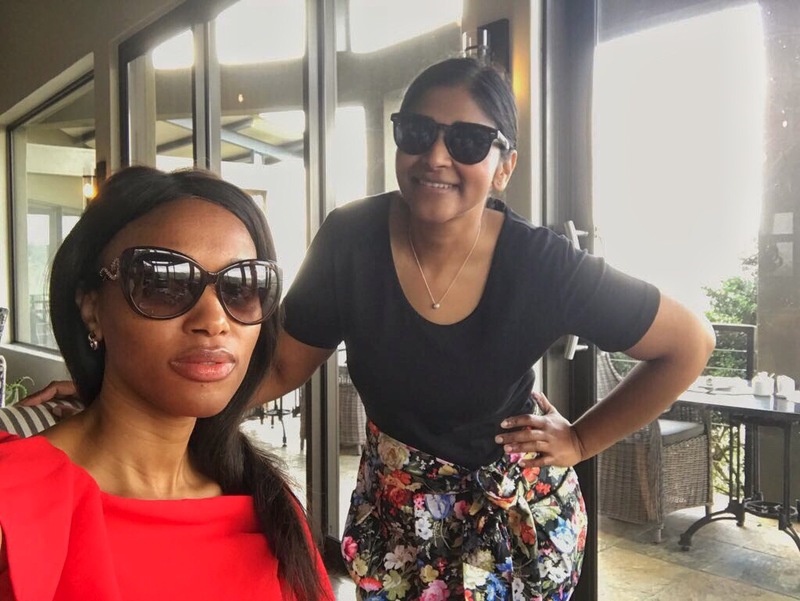 After landing, we took a leisurely drive to Franschhoek for lunch. I had been wanting to try out Marigold for a while. The restaurant setting is lovely,decorated with rich wood that complements the colours of the marigold flower, however the food was disappointing. The best meal was the spinach starter but the rest of the food was bland and too sweet, service however was friendly. Before you think, most foods are bland to an Indian palate, I heard some other non Indian customers say it needed more kick as they left. A friend of mine who also doesn’t do very spicy food said the same thing, so I’m not alone here. Nevertheless we left stuffed and set off to Hermanus, the drive was lovely and we got to see some beautiful scenery and pretty flowers, we have no idea what they were called but just appreciated the views. If you want to stay in Hermanus, it will generally have to be at a B&B/ guest house and I found a great one which had its own private entrance and breathtaking views of the Ocean. You are able to see the Ocean from both your bed and shower. The shower is part of the room so it makes it tricky when travelling with a friend. Charmaine and I agreed to cover our heads with a towel and vice versa for privacy. Just kidding, you can actually laze on the patio and soak up the Atlantic to provide some privacy to your travel companion. The host Peter was extremely friendly and gave us a list of must see spots and where to eat. During our stay we tried out Harbour Rock for sushi, had some seafood at Duchies near Grotto beach and went to Creation for a mini wine tasting. Dinner was pizza at a local favourite Rossi and we had to try the eggs Benedict at Betty’s Bistro on recommendation of our host. To be honest we didn’t really enjoy the food and felt like we were paying tourist prices but this is what sometimes comes with travel. Our last day was spent lazying around in our room, reading our books whilst overlooking the Ocean. Eventually all good things must come to an end so we made the trek back to Cape Town for the rest of the day. We did manage to squeeze in a meal at Tjing Tjing in the CBD. The duck bao was really good but the gyozas average. I did however love the mitarashi dango for dessert and as far as I know it is the only place in SA where you can eat some. I can’t help but end on a cheesy note and say that we had a whale of a time!